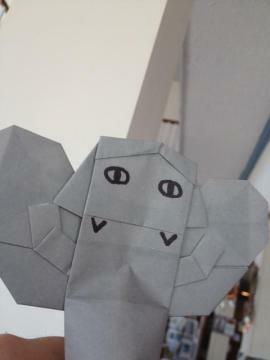 This is an Origami Weeping Angel (Doctor Who) that I gave to Tom when I saw him in Chincoteague. Because I know someone will ask, it’s 4 pieces of paper. If I get enough interest, I may make instructions.